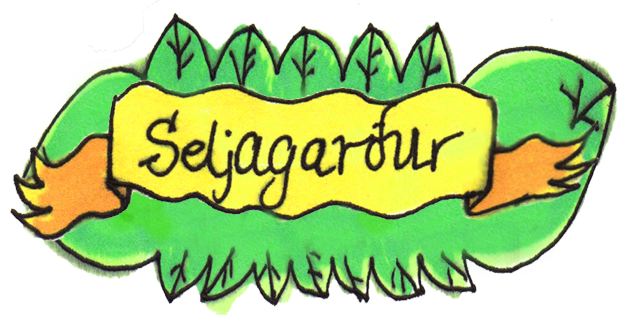 We are a group of individuals working towards creating a sustainable permaculture haven in Reykjavik, Iceland. We want to create a healthy and natural environment that all the neighbourhood can enjoy. It should be a place that is inviting and brings a dose of summer to the sun deprived Icelanders during our long winter months. It must also be a place to bring a feeling of belonging to our society. Iceland has enough space and access to cheap energy to provide its people with local food. Still we import most of our vegetables. The vegetables cultivated in commercial greenhouses demand a lot of energy consumption and therefore the concept seasonal growing is not commonly understood. One of the challenges is to cultivate vegetables all year around 64° north with sustainable methods. That means growing a diverse selection of seasonal plants and reducing the use of electrical and thermal energy to its utmost. There exists no such model in Reykjavík and the majority of commercial greenhouses in Iceland use a lot of energy over the winter months to grow a limited range of vegetables. The standard glass greenhouses are simply not adjusted to the extreme weather conditions we have in Iceland. We would like our urban garden to be inspiring so that others can create and expand on our ideas. We believe that education is a key element in our garden. We feel that a lot of gardening knowledge has been lost to us in the last decades. We want our garden to teach sustainability in a practical way so that people learn how to become proactive urban gardeners. One important aspect of introducing greenhouses in public areas is to design removable greenhouses that do not need building permits. It can take years to get construction permits and might conflict with ideas on the future development of the area. The design of the greenhouses needs to be well adapted to the urban landscape. One interesting approach would be looking into our heritage both for visual and practical inspiration. Our ancestors managed to insulate their houses with limited access to building materials.